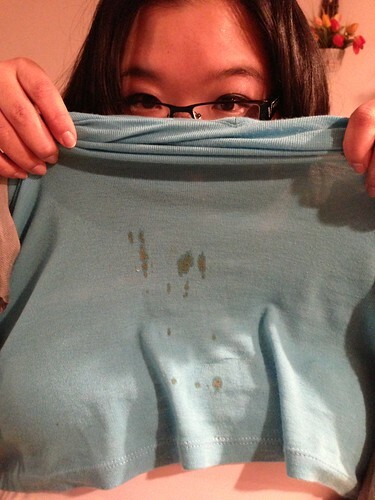 PIC: Ok, for realz, my last spill of 2013. Yuck kimchi juice. Bye, bye shirt! PIC: Ok, for realz, my last spill of 2013. Yuck kimchi juice. Bye, bye shirt!, originally uploaded by @jozjozjoz.